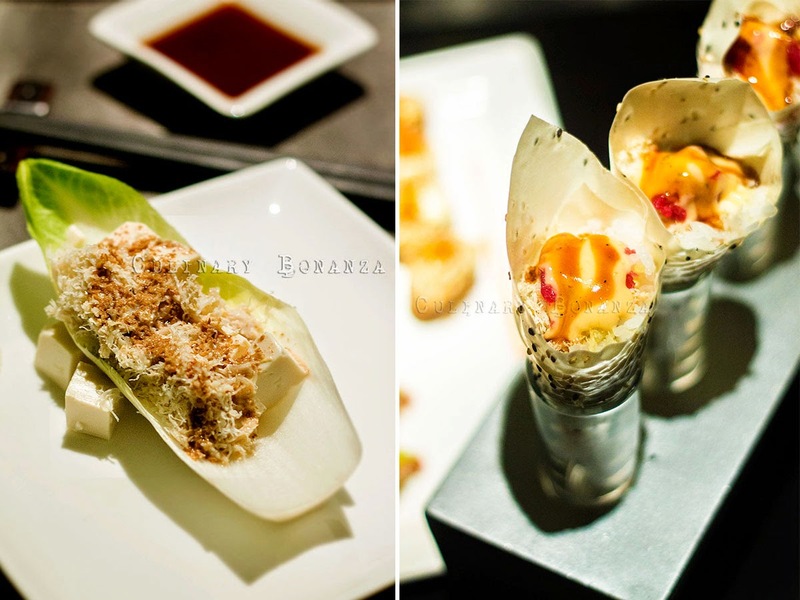 If you love Japanese food, this place is one that you should not miss. 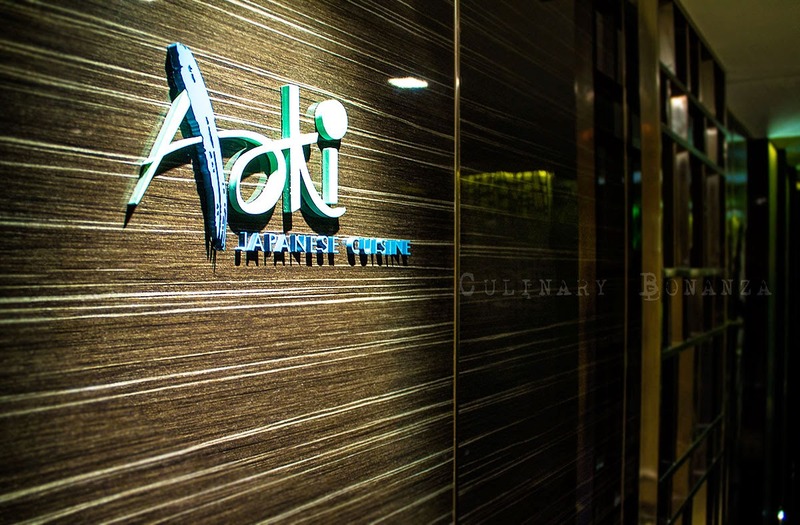 Aoki Japanese Restaurant, located at Jakarta's 5 star boutique hotel in the Blok M (Mahakam) area, is an understated hotel restaurant that deserves more credit and recognition. Among the several Japanese restaurants that I tried, and left a highly positive impression to my taste buds. Apparently, this is not only me, some friends who've been here also said that they'll come back for more of Aoki's fresh and authentic Japanese goodness. Aoki is located in the lower ground level of Hotel Gran Mahakam, with plenty of private rooms for distinguished guests who require some privacy. At night, it is actually quite dark because of the rather dim lighting. 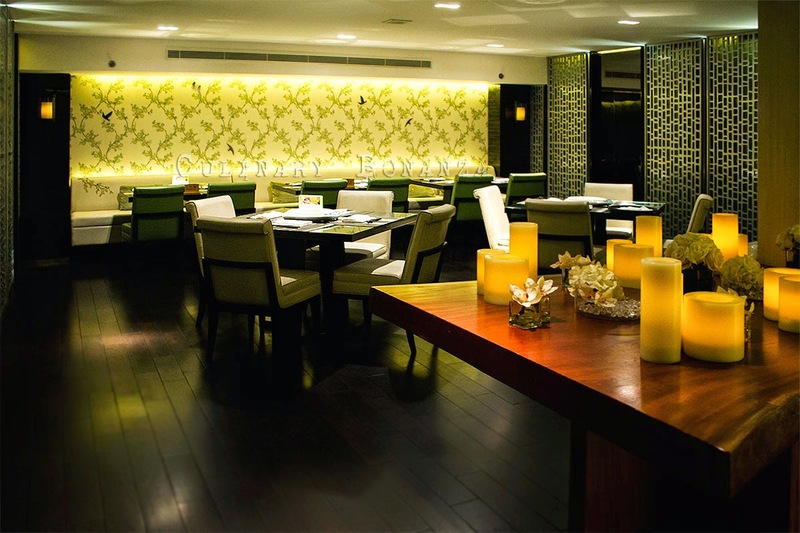 With a warm combination of earthy and natural palette, this refurbished restaurant is bound by dark wooden walls with flower patterned wallpapers as well as white and lime green colour for the leather chairs and sofas. 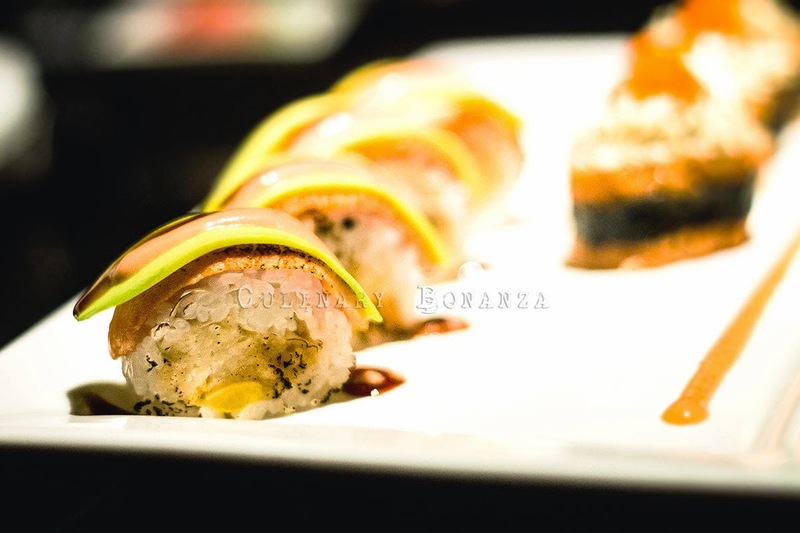 The menu is extensive, anything Japanese that you can think of, is available here. You can find Salad, Soup, Shabu-Shabu, Dry Sukiyaki, Sashimi, Sushi, Nigiri Sushi, Bento (lunch & dinner), Jyu Box, Fusion Sushi, Robatayaki, Ozen, Udon, Soba Ramen, Kamameshi, Zosui & Chasuke, Dessert & Drinks. 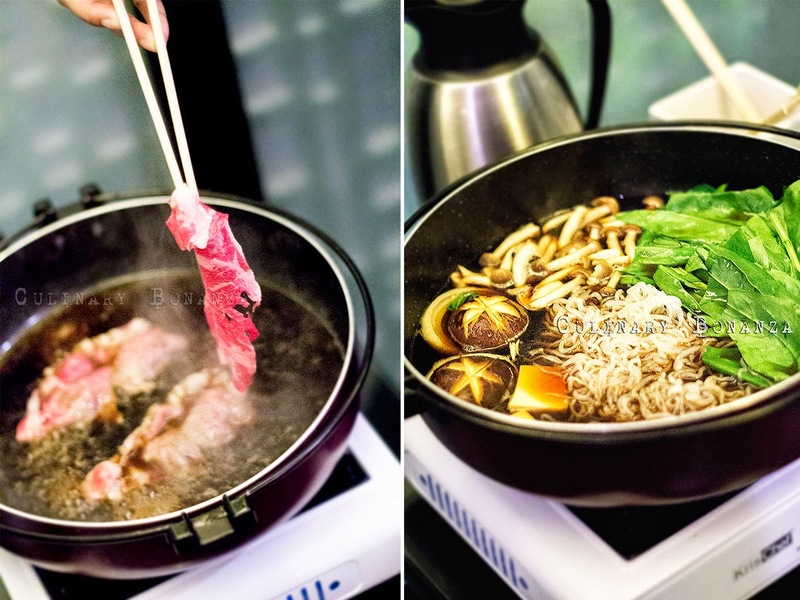 However, one of the signature, which is very popular among the guests are the Shabu-Shabu or the Dry Sukiyaki. 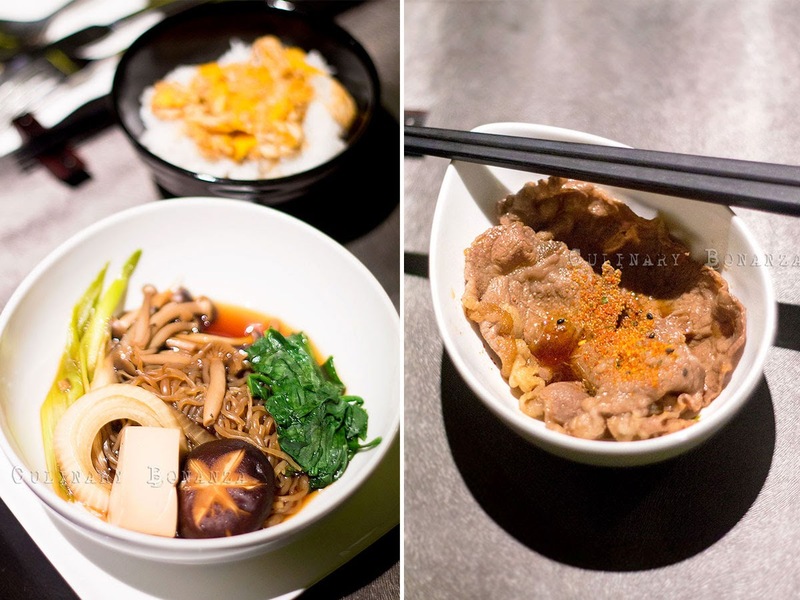 After tasting the sukiyaki for myself, I have no wonder why they become the guests favourites. Sunday Luncheon menu (Authentic Japanese buffet) is available on Sundays between 12 noon - 2.30 PM. Price: IDR 215,000++ / person. Fresh Crab Salad - crab meat and tofu with sesame dressing, tasted fresh and light. Special Fresh Crab Handroll - crab meat and tuna wrapped in soy paper. This is one of the Signature dishes at Aoki and I strongly recommend anyone to order this. The soy paper has such unique skin-like texture, and the filling is absolutely fresh and delicious. I'd go for 2nd and 3rd helpings if I could help it! Sake Yaki Maki - rolled crab meat and salmon on top. 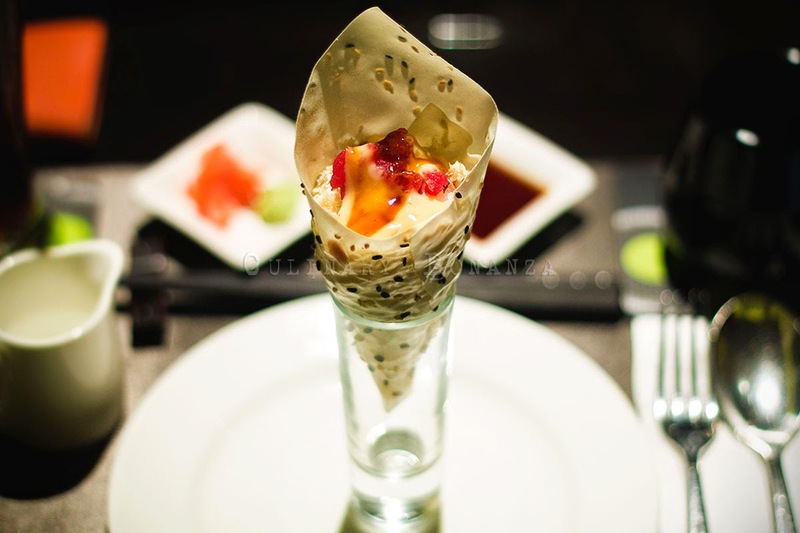 Crunchy Inari Sushi - rolled skin salmon with Japanese bean curd. 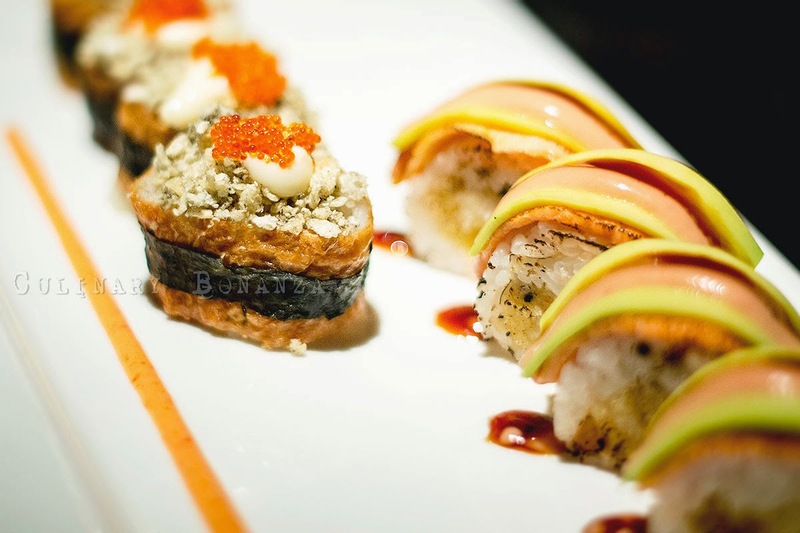 Premium sushi, made with premium ingredients and taste premium, at a premium price too. Special Gyu Enoki Maki - mushroom and cheese wrapped with Sirloin Beef with special sauce. Another signature dish at Aoki, it's cheese and enoki mushroom wrapped in Sirloin beef, fried and served with special sauce. Addictive! 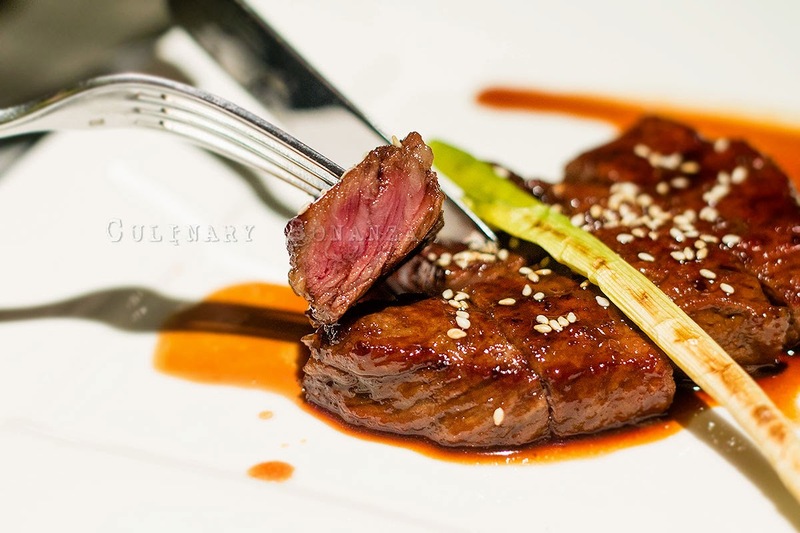 Spicy Beef Tenderloin (Wagyu) - with sesame & sweet sauce. 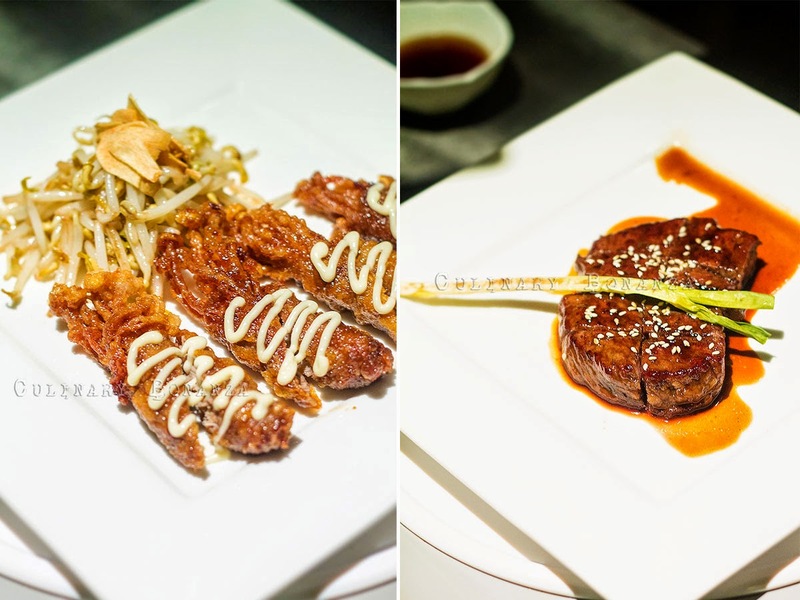 Imagine tender, succulent and juicy wagyu beef tendeloin, seared medium and served with Japanese sesame & sweet sauce. I was never a massive steak fan, but for this, I could finish the entire slab myself! Kaki Age Tempura - ebi and vegetables tempura with sweet & sour sauce. 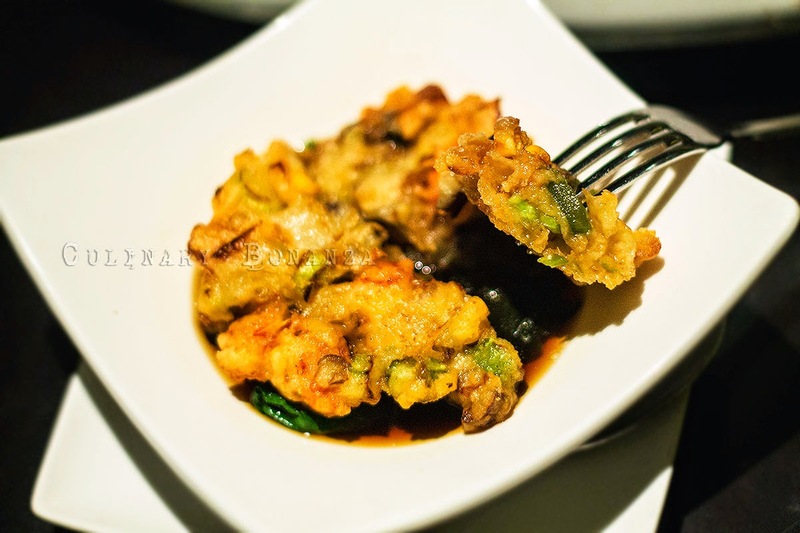 This kakiage reminds me of an Indonesian dish, 'bakwan', which is simply corn fritters. However the kakiage has more than corn in it, there's also vegetable, spring onions, etc. Dry Sukiyaki (USA Sirloin / Rib Eye) - juicy sliced beef cooked with special broth and chili peppers, sautéed vegetables and steamed rice with egg on top. serve selections of beef from Australia, US to Wagyu 9+. It was my first time eating sukiyaki and thanks to Aoki, it won't be my last. I had such a foodgasmic moment enjoying the delicious sukiyaki, of tender USA Sirloin beef slices, fresh vegetables (enoki, shiitake, etc) in rich sukiyaki broth and served with a bowl of rice, with the scrambled egg, also cooked in the broth. 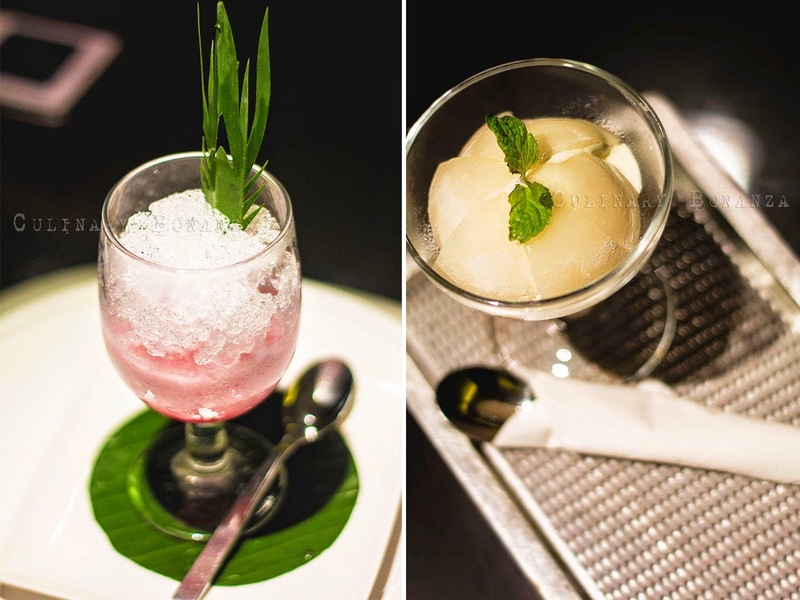 I would not expect a Japanese restaurant to serve Indonesian dessert, but yes, apparently Aoki does! They serve Es Kopyor, Es Kopyor Durian, Es Tape Hijau, etc. On top of those, of course there are some Japanese classics too, such as homemade ice cream in ogura (red bean), macha (green tea), black sesame & chocolate flavours. 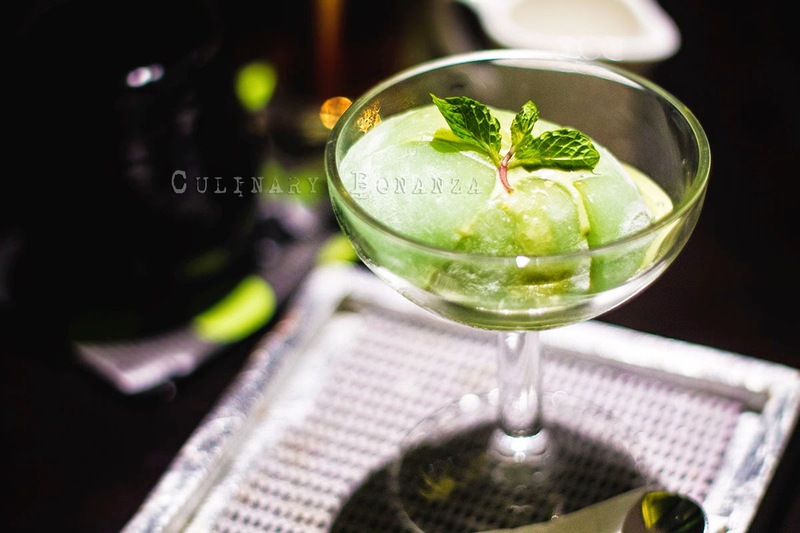 My personal favourite is the Mochi Ice Cream in Green Tea flavour. Aoki is an absolute recommended place for true Japanese food fans. 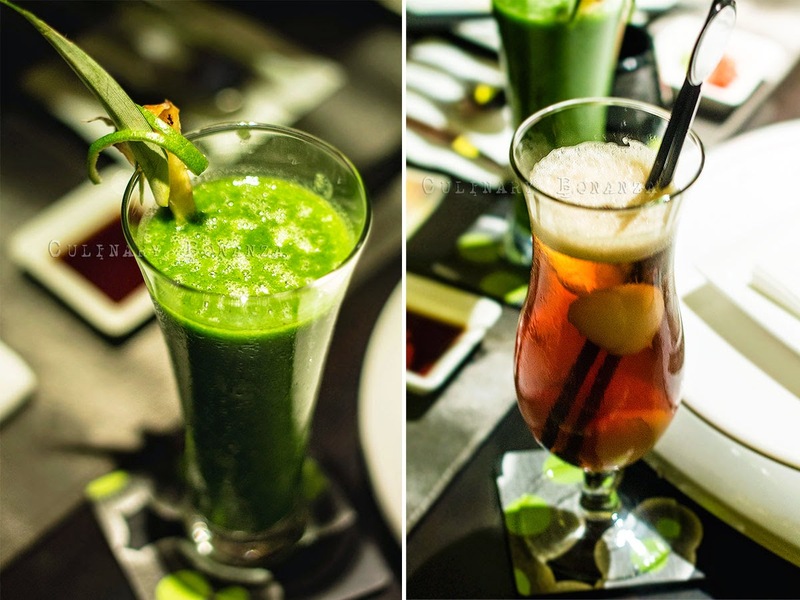 The prices of the food are considerably premium, but the service and quality of food is also premium. Aoki ini yang direview itu menu undangan atau menu buffet sunday lunchnya?